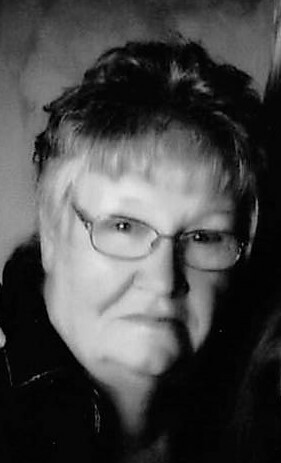 Almedia “Ruth” (née Wagoner) Hollar, 81, of Ewing, passed away Friday morning, August 31, 2018, at Meadowview Regional Medical Center. Ruth was born on March 23, 1937, in a 4-room cabin in the hills of Nicholas County, Kentucky. At 18 she met Billy Wayne Hollar and they were married not long after. He served in the Army, and they lived base to base until finally settling back home in Fleming County. They welcomed 5 children; 2 of which went home to meet Jesus as babies, and they raised their other 3 children to be some of the most unique people you will ever meet. Ruth worked at U.S. Shoe in Flemingsburg for 32 years, before retiring to a life of being “Nanny” and caring for her 6 grandchildren. She was a beloved member of the Nepton Community for a majority of her life. She was preceded in death by her husband of 49 years - Billy Wayne Hollar, their 2 infant sons, her mother - Gladys Ritchie, her step-father - John Thomas Ritchie. Ruth leaves behind 3 children - Billy (Melissa) Hollar, Tonya (David) Tackett, Beth Hollar. 6 grandchildren - Nikki Grimes, Austin Tackett, Hannah Hollar, Sarrah Hollar, Laurrah Hollar, and Korrah Hollar, along with several nieces and nephews. Funeral services will be 11 a.m., Wednesday, September 5, 2018, at Boone-Nickell Funeral Home. She will be laid to rest beside her husband at Elizaville Cemetery. Visitation will be 6-8 p.m., Tuesday, at the funeral home.